I've probably had the tab with the following link open in my browser for six months or more, reminding me to try out this technique for fixing fine-pitched LCD ribbon cables. However, I brought it up on IRC last night, and CVSoft indicated that he has tried this exact tutorial, and found it to fail after a few weeks. Sad news for prospective repair of those fine-pitched cable issues like missing rows and columns. 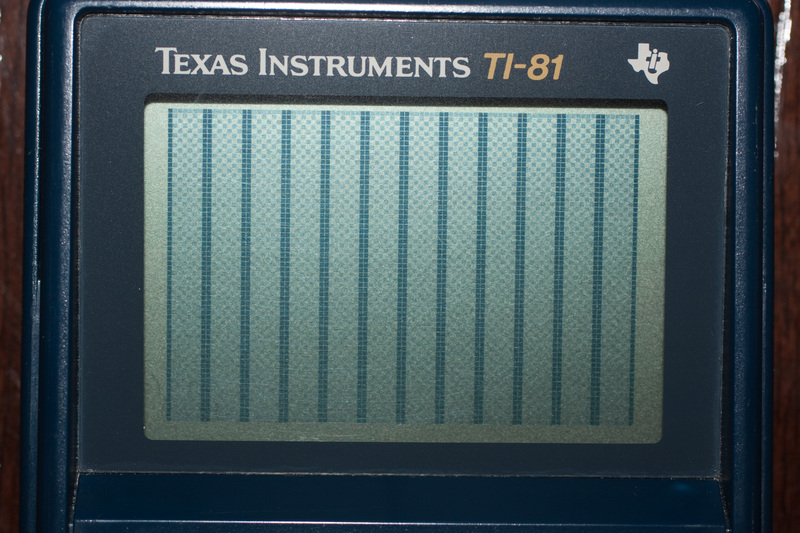 The TI-81 featured a couple of posfs back failed again, with two ribbon cable connections going bad. I did yet another partial repair, and it works again! 4.) Solder the other end of the leg to the contact but do it FAST because the other end will melt off if you stay on the leg for more than a second. Interesting, thanks for sharing that technique! As long as you keep the LCD and mainboard within the case while you do it, it seems like it would be a little bit easier, especially depending on people's soldering experience. 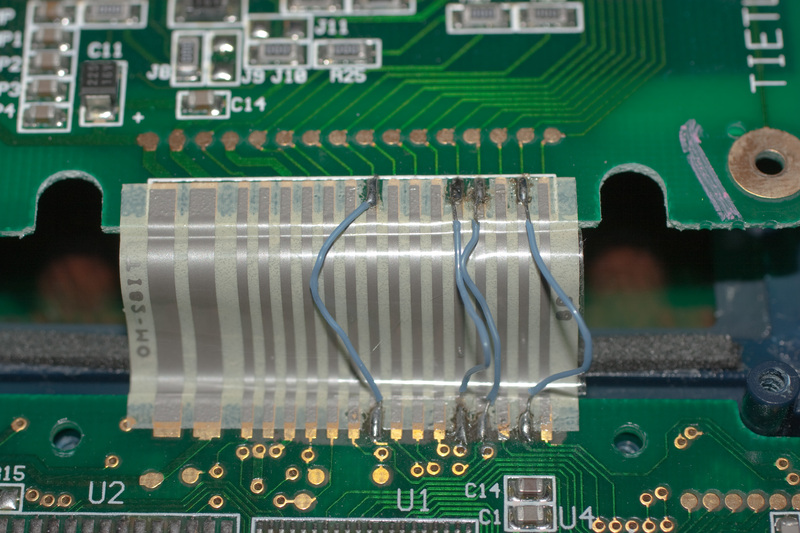 I wish we had a reliable way to repair the conductive glue on the fine-grained ribbon cable so we could once and for all have a definitive guide to graphing calculator repair. CVSoft, didn't you say you had something semi-reliable? 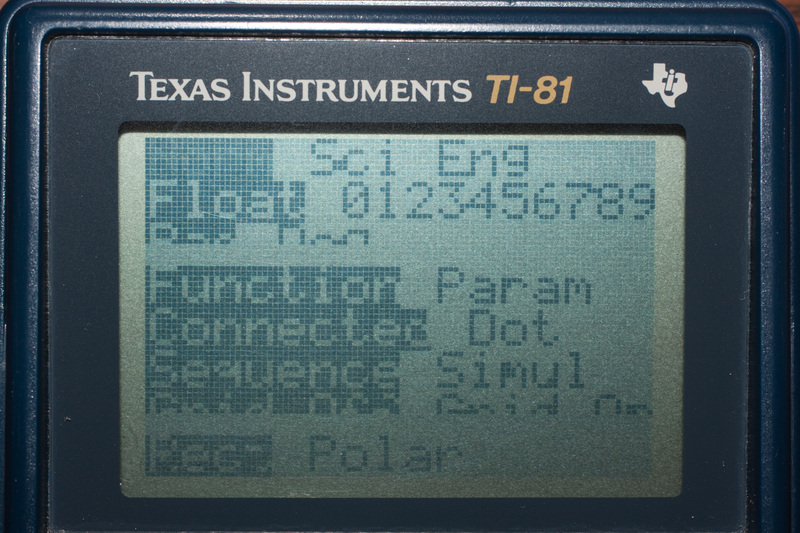 Only for TI-82s and dark blue TI-81s. Apply more pressure to the LCD board by putting more foam / soft, even stuff on the foam block on the rear housing. The foam tends to flatten over time, causing the LCD to sag in the housing and lose pressure against the fine ribbon cable. I would only recommend it if there are many rows/columns permanently missing. This works but I have one issue with it. There is no stress relief. A calculator in say a school bag,repaired that way, will probably fail sooner then later due to the pads lifting. 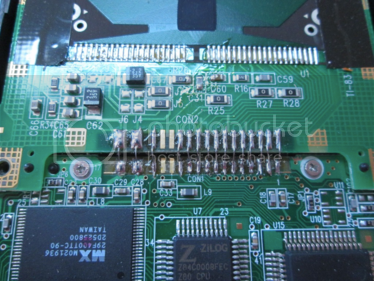 There is quite a bit of play on the LCD that your now are putting on the copper pads. 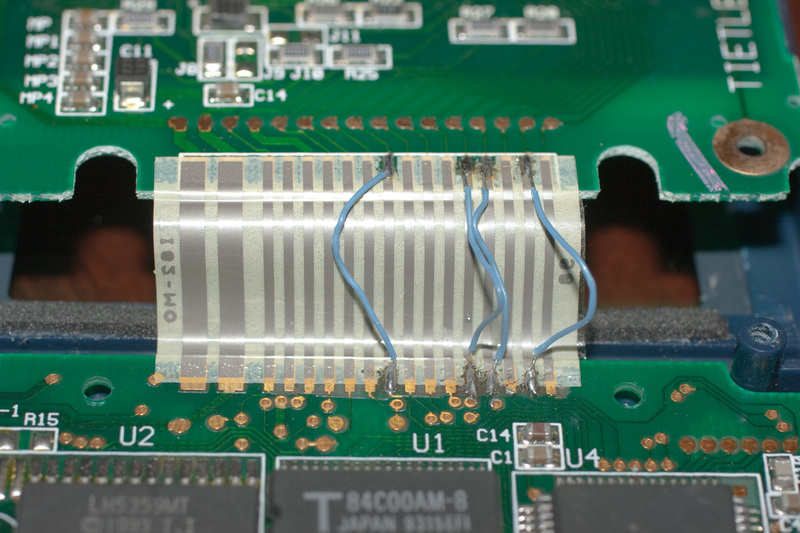 the ribbon cable was there to keep that off the joints. Just some food for thought. Still a beautiful job though! 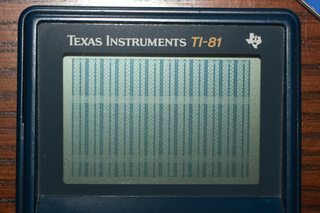 After yet another failure, I finally replaced the entire ribbon cable on that TI-81. I used 32-gauge enameled magnet wire because it's easy to work with (you don't strip it, the enamel melts away). There's been no action in this thread in some time. I was wondering if any new improvements have been tried and proven on replacing/substituting the fine black LED display ribbon cable? 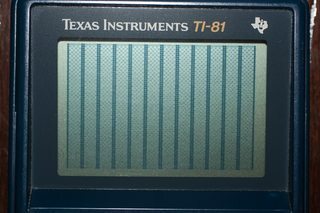 I've been repairing TI-83's/84's/86's for some time now, and lurked this thread over the years. 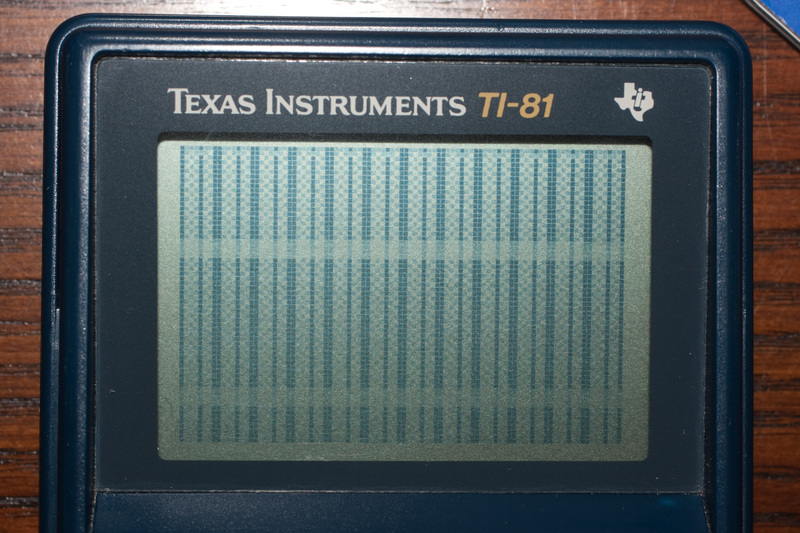 My niece brought me her older hand-me-down TI-86 which she's been using for Jr High school work because it has 4 horizontal lines of missing pixels and slowly increasing the number. I know they're only like $25 for a used one on Eb but I've been looking for a solution for this for years on other models as well. I've tried the usual tricks I do with compressing the foam/cable connection, hair-drying, etc. and got two to go away intermittently, but they come back fairly quickly. The top-most one, I can get to go away by pressing the glass and board together, but it comes back within a week or two. The bottom-most one I can play with the cable midway, and get it to work, but not long enough to even close the case. Has anyone tried say sacrificing an already broken one to try methods of removing the LCD to access the cable connectors beneath it? It appears both ends are inaccessible beneath the foam and boards. Maybe heat or some solvent like goo-gone or alcohol, or stronger? Any known methods to shorten or "jump" the thin cable either midway or connect just one or two full strands? The way it is wrapped around and folded multiple times seems like just ASKING for quick deterioration. Don't let this thread perish, it's been quite useful. Love the photos too. 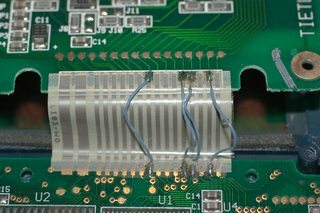 BTW, along the lines of using the old hard drive cable for the coarse cable, has anyone considered substituting an easily obtainable flat ribbon cable, say from an obsolete printer. Those are quite durable and one of those cut into pieces could probably substitute for 3 or 4 TI cables, burn or dissolve off the plastic on the ends, and tinned) or from an old 10Mb hard drive. Don't know how well they'd take a very sharp bend though. Or maybe find a source for one for use with another brand of device. Has anyone considered contacting the manufacturing company (in China likely) to get OEM replacements. I'm sure they'd be willing to sell them to you super cheap if you buy a bunch. You could then split the order or sell them online. Would they be interchangeable enough to use one type on multiple calculators? I don't do enough of them to take the time right now or I would look into it more. BTW, along the lines of using the old hard drive cable for the coarse cable, has anyone considered substituting an easily obtainable flat ribbon cable, say from an obsolete printer. Those are quite durable and one of those cut into pieces could probably substitute for 3 or 4 TI cables, burn or dissolve off the plastic on the ends, and tinned) or from an old 10Mb hard drive. Don't know how well they'd take a very sharp bend though. Or maybe find a source for one for use with another brand of device. The coarse cable isn't very critical, so it's probably just a matter of what you have handy. 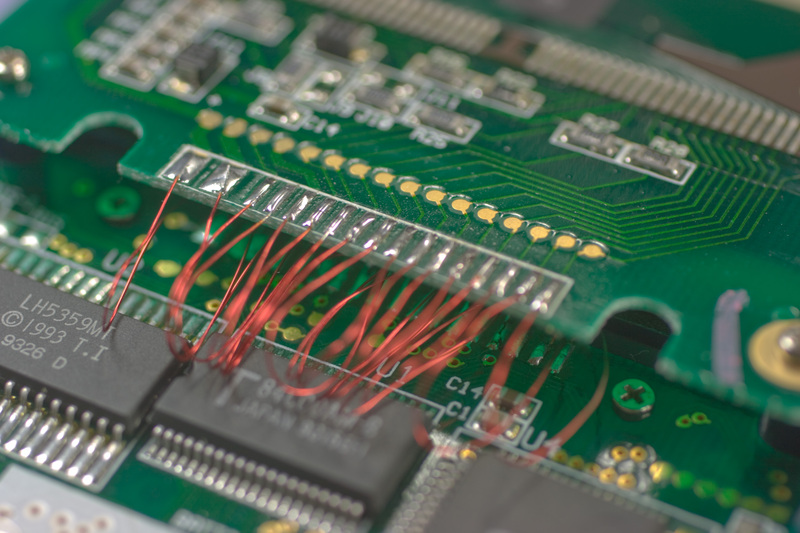 If you were planning to replace a lot you could buy a large quantity of bare ribbon cable matching the pitch and width, but I don't think anybody's dedicated enough to do so. I was wondering if any new improvements have been tried and proven on replacing/substituting the fine black LED display ribbon cable? Probably not; they're not really designed to be serviced. It's basically COG assembly, which is engineered for cost and size rather than serviceability. In general, I'm convinced a more useful approach to mass repairs of fine ribbon failures would be designing a replacement LCD assembly (driver and display) that can be dropped in rather than trying to repair those microscopic fragile cables. You intrigue me, sir. I suspect the hardest part would be finding a matching LCD; I expect a 128x64 pixel panel might be the easiest way to go. 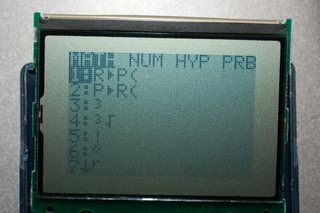 Has it been identified which conductor trace will cause the solid black screen? What do I do? Do I simply check resistance across all conductors and splice a jumper into any one showing high resistance? You guys who are doing this (have done this) Have you tried to just remelt the solder joint or have you identified a break in the ribbon? Have you tried to just remelt the solder joint or have you identified a break in the ribbon? It sounds like the joints aren't soldered but rather glued making it a more difficult repair than just remelting. I've worked with LCD's that the conductors are a neat piece of carbon impregnated rubber formed in segments. 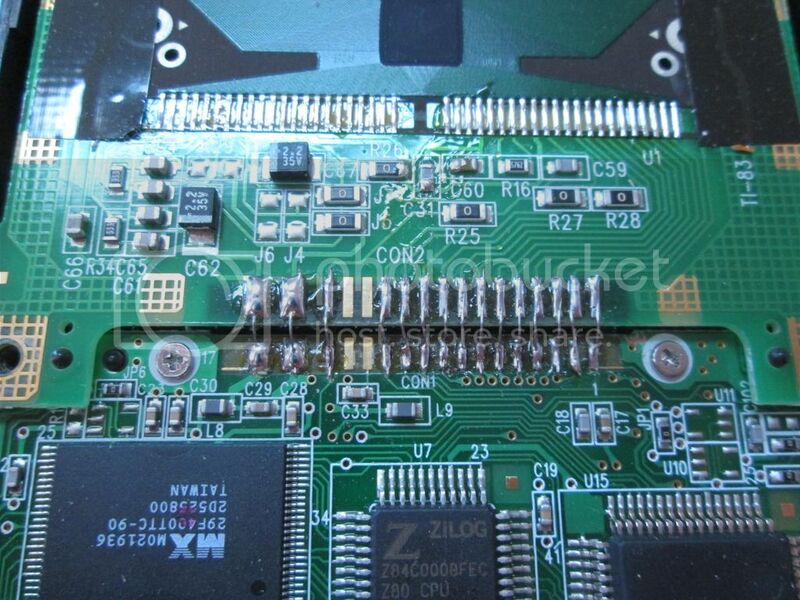 The above conductor material is then pressed between the LCD contacts and the PCB contacts. 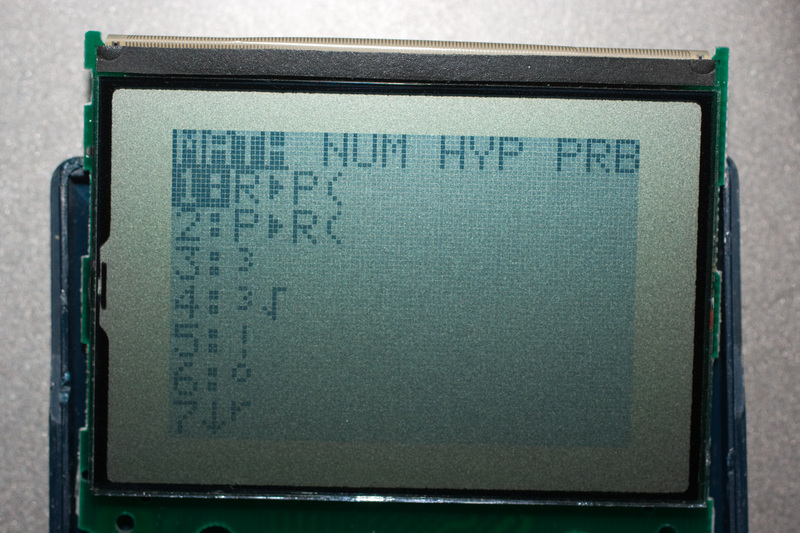 When i finally get my micro torx drivers and get into it, perhaps I'll figure out something. © Copyright 2000-2019 Cemetech & Christopher Mitchell :: Page Execution Time: 0.132147 seconds.